Schematic shows that USB voltage UVCC comes to regulator input thru fuse F1 and diode D2. But if RAW is battery, then battery is charged with USB 5V rather than U4 charger? 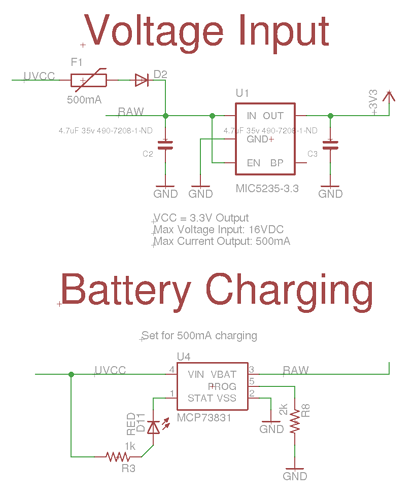 I don't see any diodes between battery and regulator and anyway charger output is also RAW so there cannot be diode between battery? Please tell me that I'm wrong! I just checked the schematic after seeing your comment. You're right. USB is hooked up to RAW, which is also the battery voltage. It seems like batteries have been charging from raw USB voltage. This must only have been working because of the protection circuit onboard the batteries I have (because USB charging "works"). Thanks for catching this, this is more serious than I originally realized. Will have to fix in the next manufacturing run. I don't have a Flutter to look at. Can you post a guide to cutting a trace and/or adding a wire to correct this condition? Can I disconnect the battery + from RAW and connect to U4.VBAT? 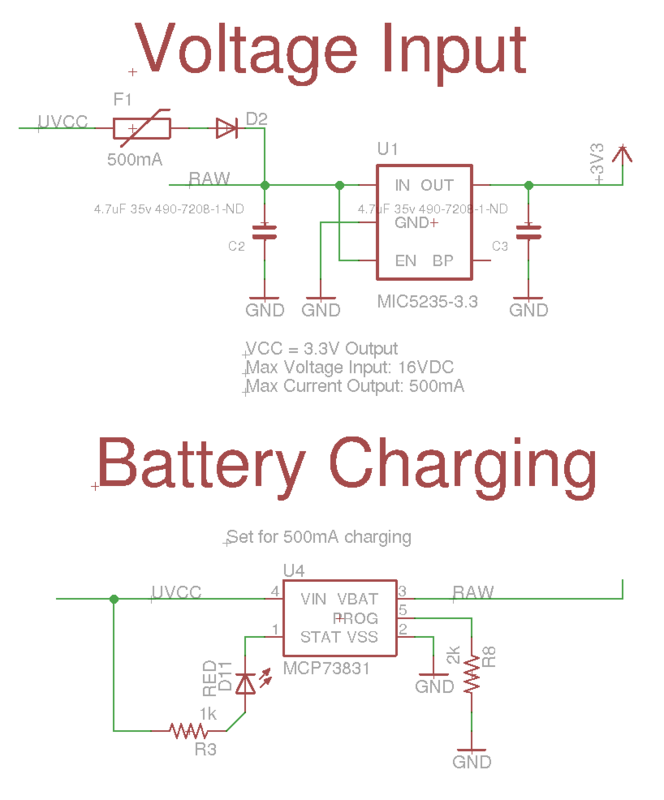 It's probably not quite that simple but a guide might make it easy to restore the battery charge capability.